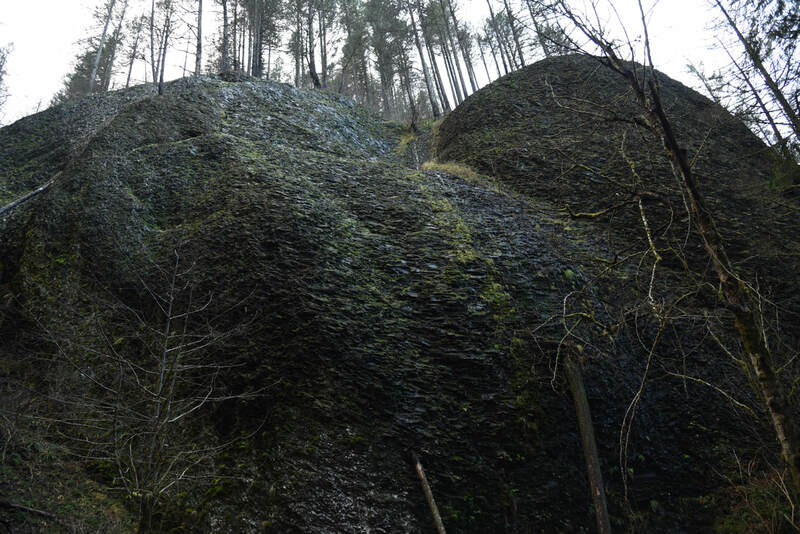 In 2017 the Eagle Creek Fire swept through the area and destroyed many of the trails on the Oregon side of the Columbia River Gorge. 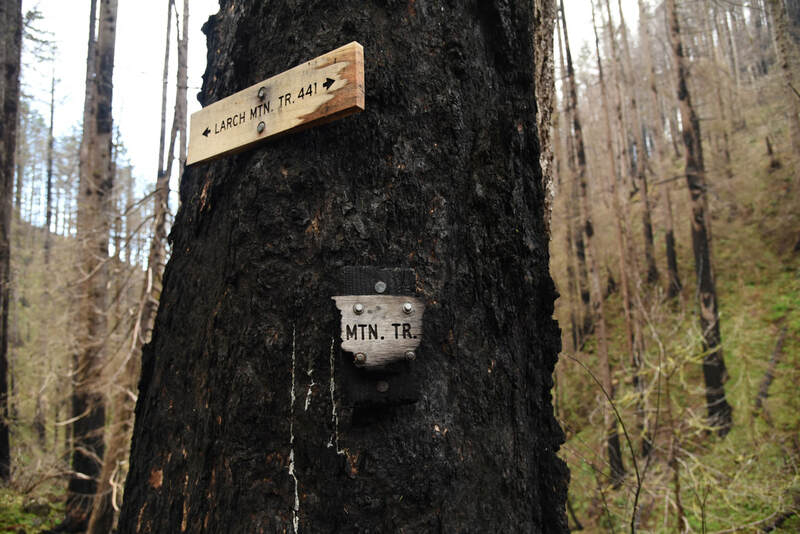 Some trails in the area are still closed. 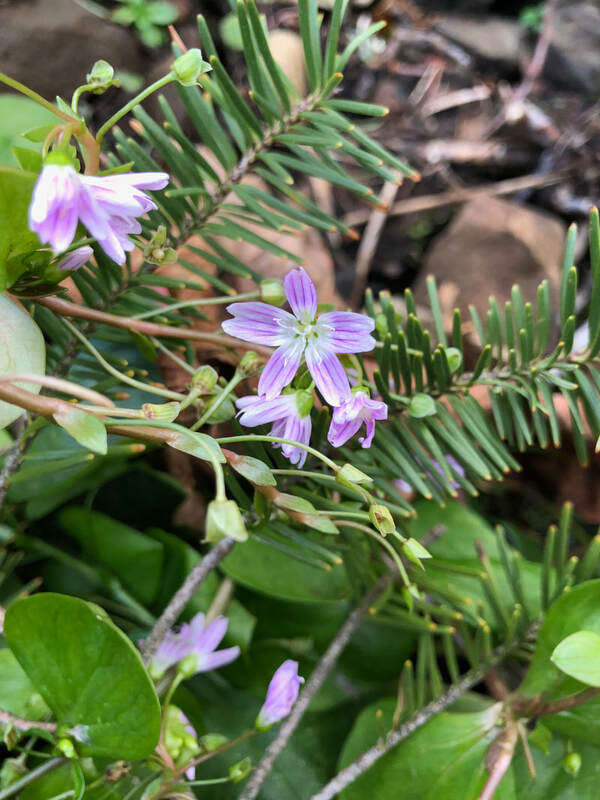 Even though this trail has reopened, it is still quite dangerous and one should use extreme caution when hiking here especially during the months of November through March. 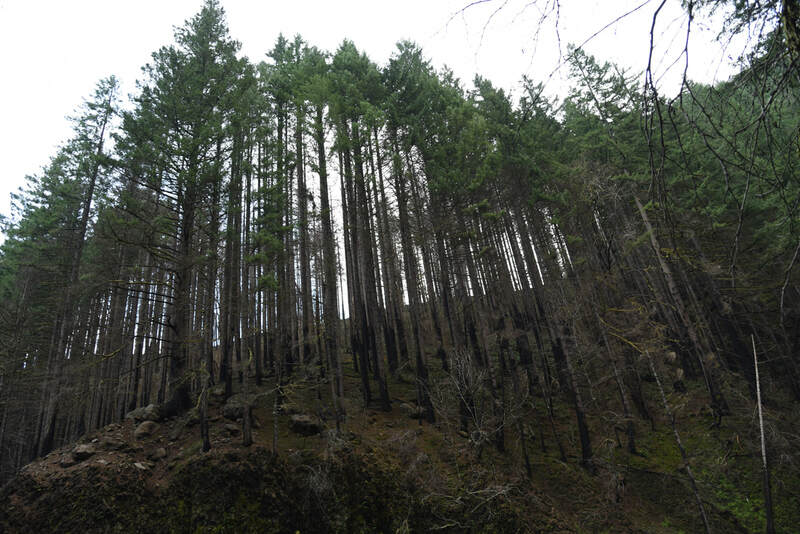 Heavy winds can knock down dead burned trees and rain and snow melt can cause massive landslides in this very steep terrain. 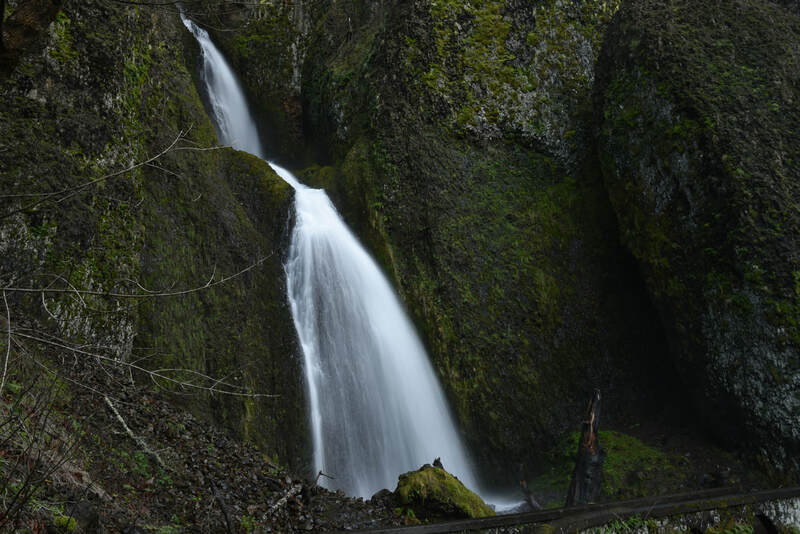 ​The trail for this amazing loop hike starts at the base of Multnomah Falls, which is Oregon’s largest waterfall standing at 542 ft. tall. It comes tumbling down two tiers with impressive strength. From the lower viewing platform, you will make your way up the paved walkway .6 miles to the top of the falls. Even though this section is paved, there are plenty of switchbacks, and it is by no means easy as you are immediately gaining 800 ft. of elevation! 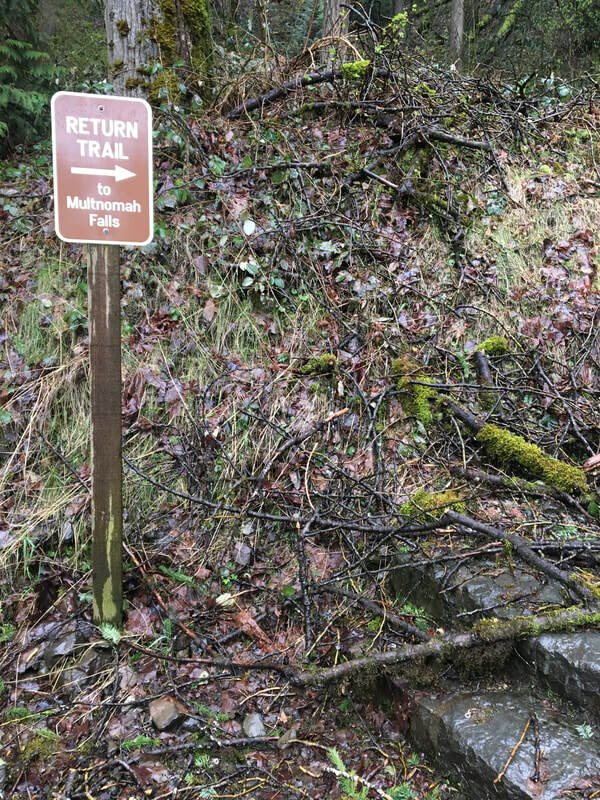 Because of the fire, there are no longer any hand railings, so if you are hiking with young children, please make sure they don’t walk too close to edge. 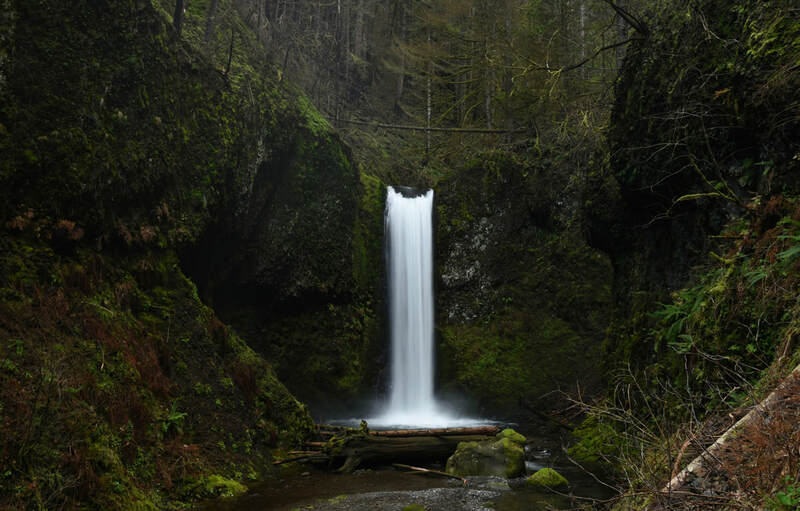 You will continue on the Larch Mountain Trail for another .8 miles witnessing 35 ft. Dutchman Falls, 50 ft. Wiesendanger Falls and 55 ft. Ecola Falls (aka Hidden Falls) along the way. 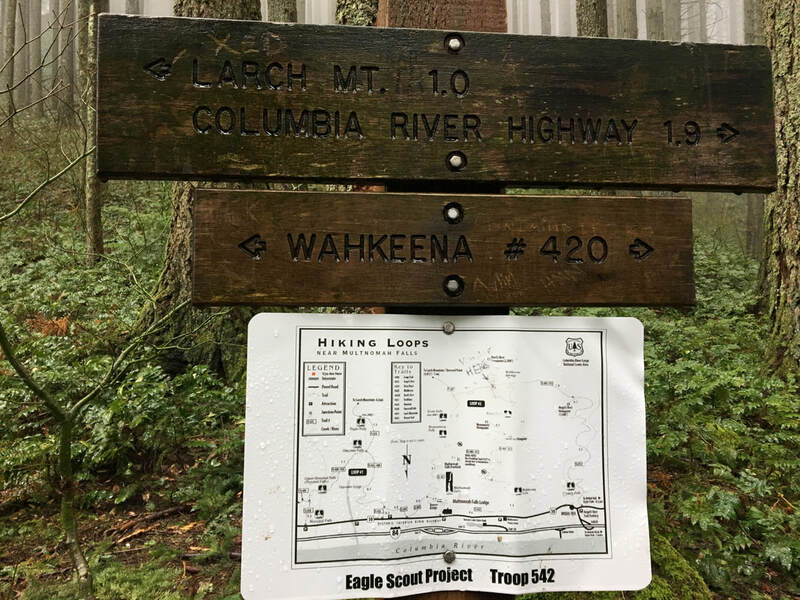 Right after Ecola Falls you will split away from the Larch Mountain Trail and you will continue to the right on the Wahkeena Trail #420. 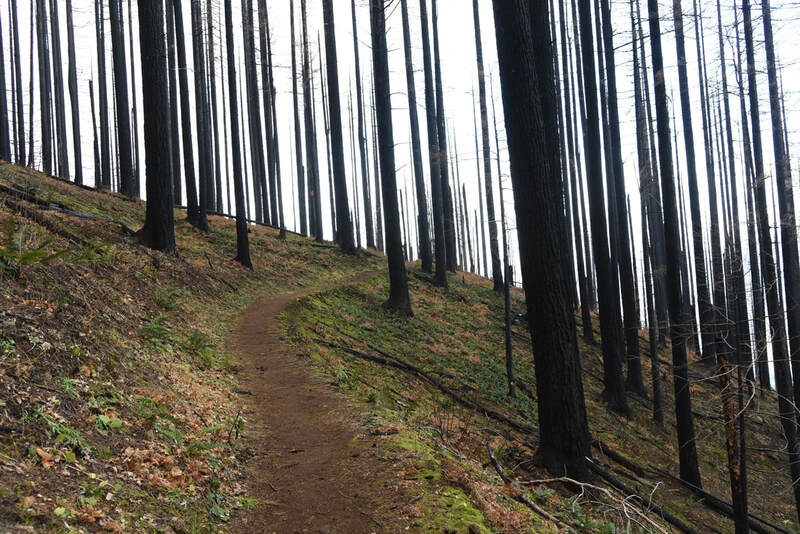 This trail takes you up a beautiful forest ridge, high above all of the creeks. 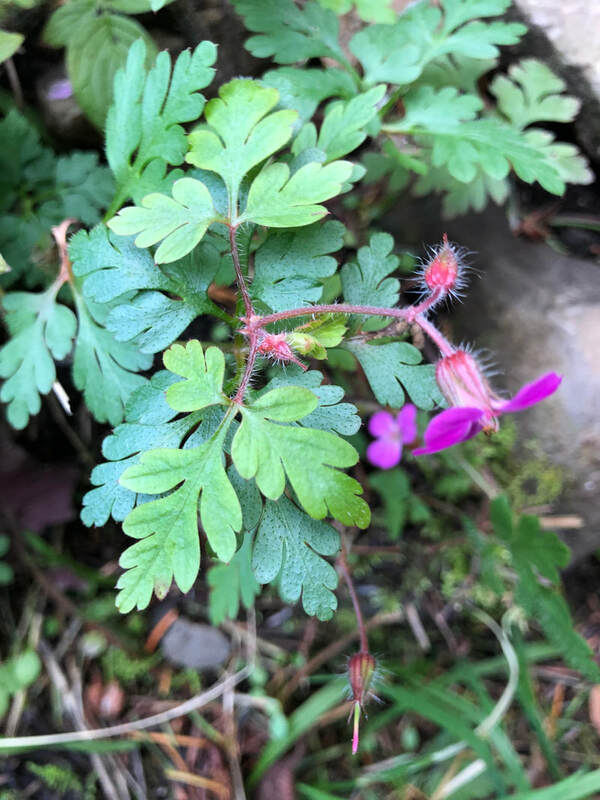 While you’re walking over to the Wahkeena Creek watershed, you will see trail off-shoots for Devils Rest Trail as well as Angels Rest Trail. Both are extremely grueling hikes, but can be done in conjunction with this loop if you have enough stamina and daylight. The forest here is extremely burned but you will see the forest floor already recovering a bit with ferns sprouting and moss starting to grow again. 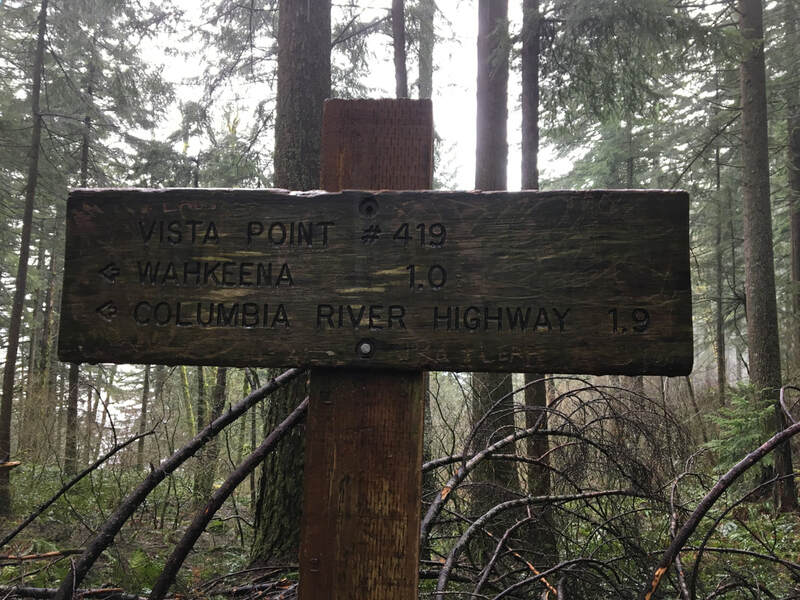 Once you reach the Wahkeena Creek watershed and what looks like a saddle, you will come across a 3-way trail split, Devils Rest, Wahkeena Trail and Vista Point. 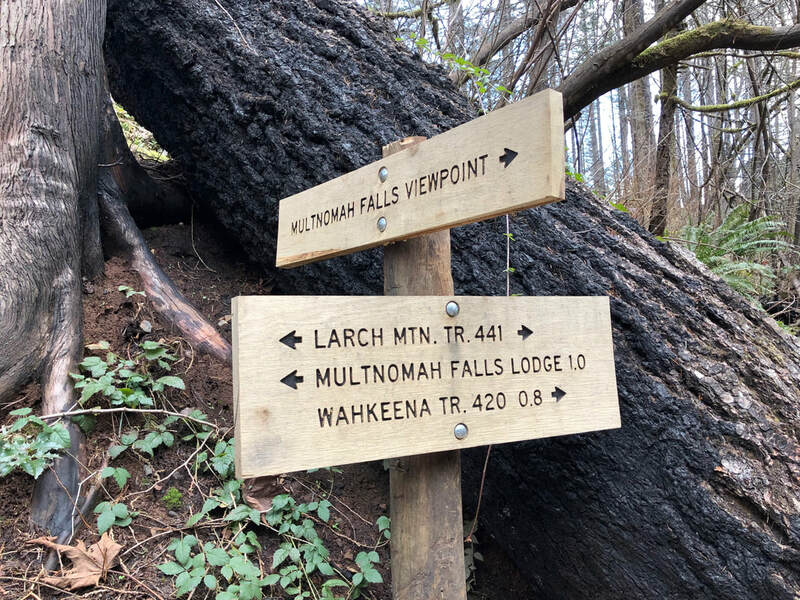 You can take Vista Point Trail, it will take you back to the Wahkeena Trail right before Fairy Falls. 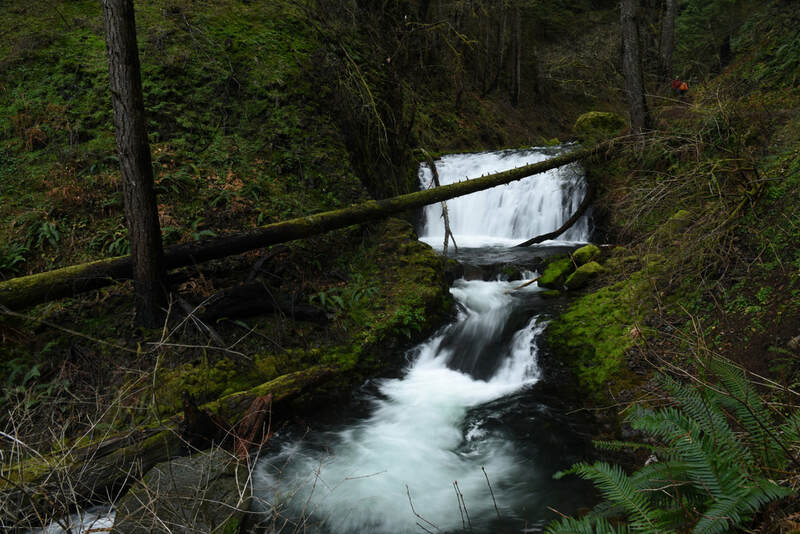 If you continue on the Wahkeena Trail you will see and hear the massive roaring creek tumbling steeply down the hill. The trail switchbacks next to the creek until you get to the bottom, making you feel like you are walking next to a waterfall the whole time. 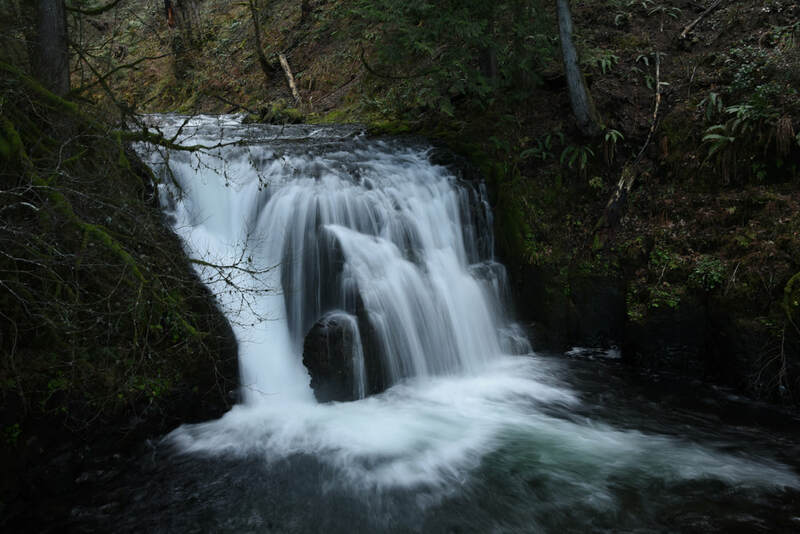 Along the way you will see Fairy Falls, which is a very pretty 20 ft. waterfall strongly resembling Ramona Falls. 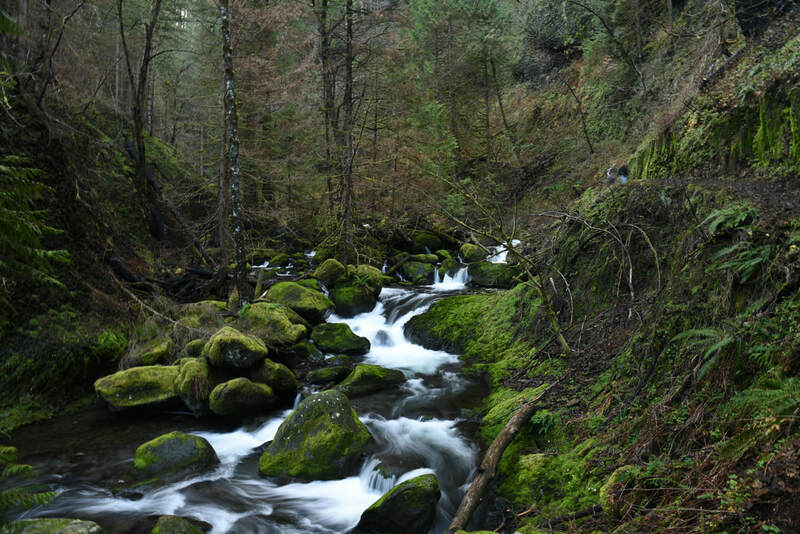 The Wahkeena Creek canyon becomes more narrow the further down you go, and by the end the trail is almost in the river. Watch out here when the water is really high! 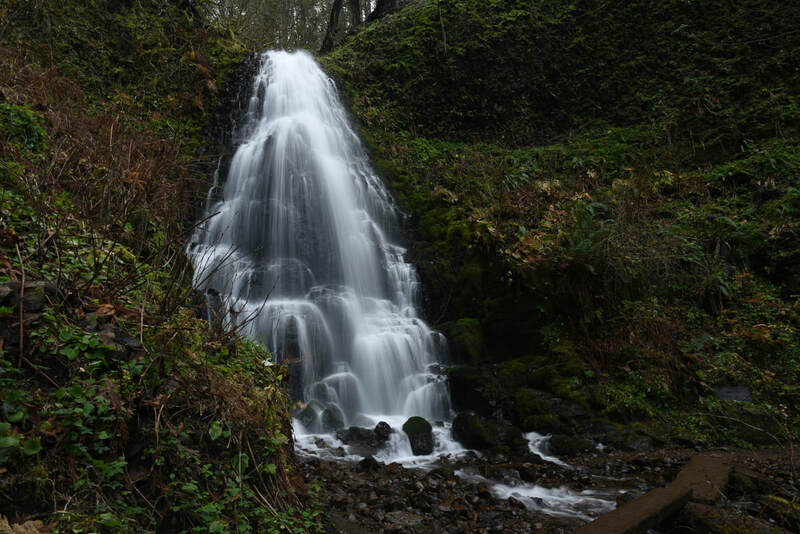 The view of Wahkeena Falls is wonderful and you are able to see the two distinct tiers of the 242 ft. waterfall (although it actually has a total of 6 drops, you can’t see all of them at once). Once you get back down to the Scenic Highway, you will find the Tie Trail #442 to east of the falls. 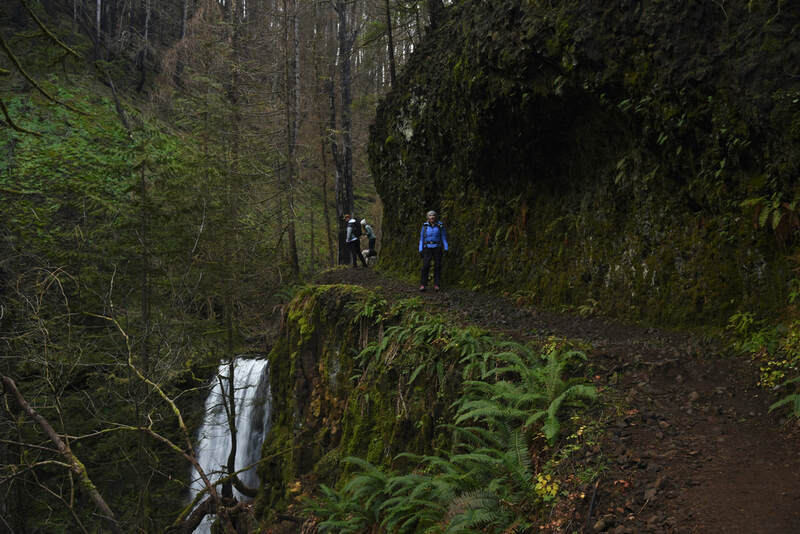 Continue on this trail for roughly half a mile back to the historic Multnomah Falls Lodge. The lodge serves food and drinks and is open 7 days a week. (Best time to go is April, May, early June, September and October. Skip the months of July and August because of the throngs of people here). 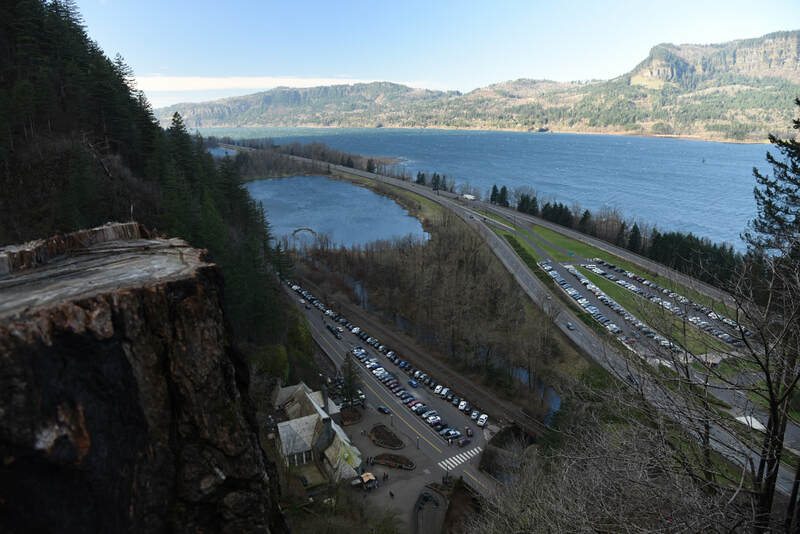 From Portland drive on I-84 east towards Hood River for 29.6 miles and exit at the sign for Multnomah Falls. From Salem drive north on I-5 towards Portland for 27.8 miles then turn off at exit 288 for I-205 towards The Dalles/Seattle. Continue on I-205 north for 21.1 miles then take exit 22 to merge onto I-84 east towards The Dalles. 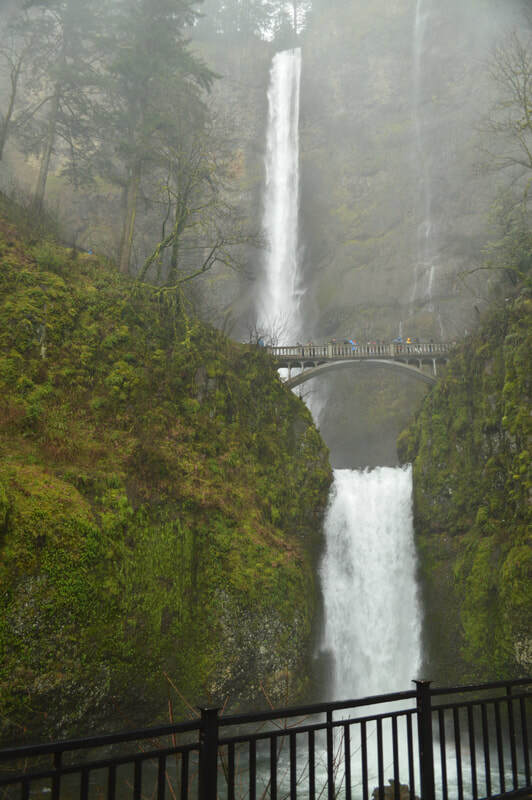 Continue on I-84 for 22.7 miles exit at the sign for Multnomah Falls. From Bend drive north on US-97 towards Redmond and Madras. In Madras merge left onto US-26 and stay on this highway for 100 miles. 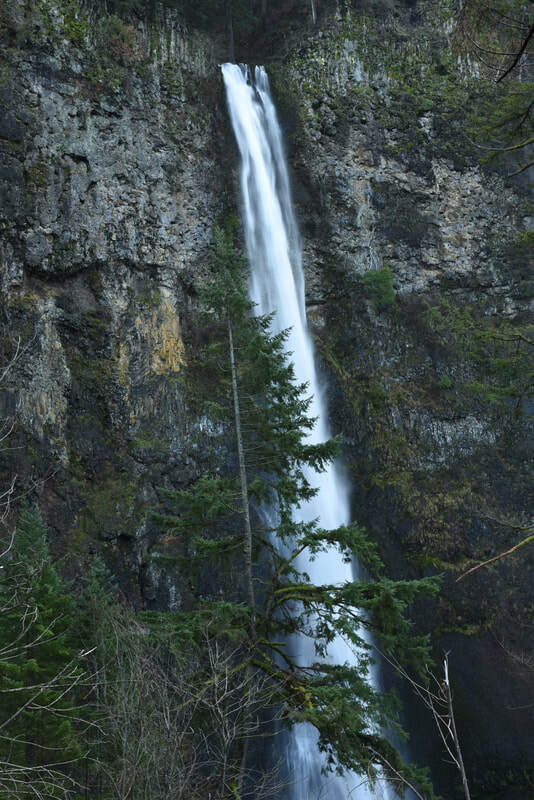 In Troutdale merge right onto I-84 towards Hood River for 14 miles then exit at the sign for Multnomah Falls. 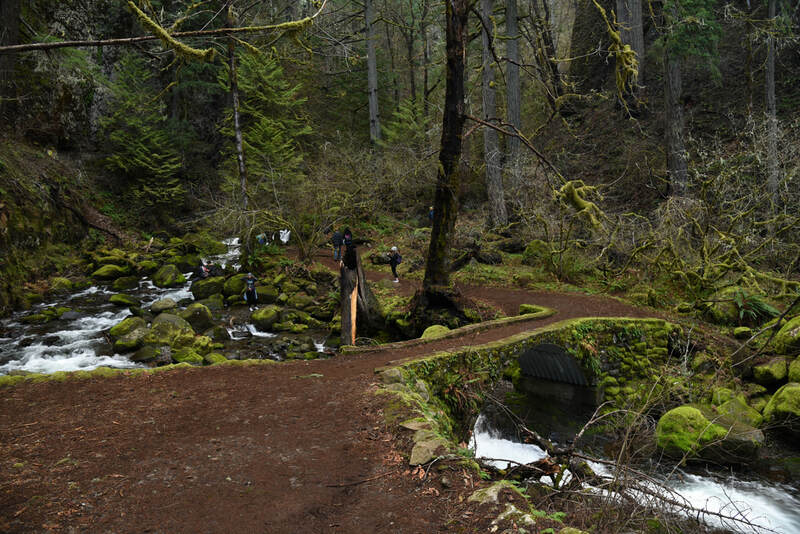 *Disclaimer: the trail descriptions, mileage, GPS tracks and difficulty ratings depicted on this website are never 100% accurate. Always hike at your own risk, using your own knowledge, equipment and common sense. 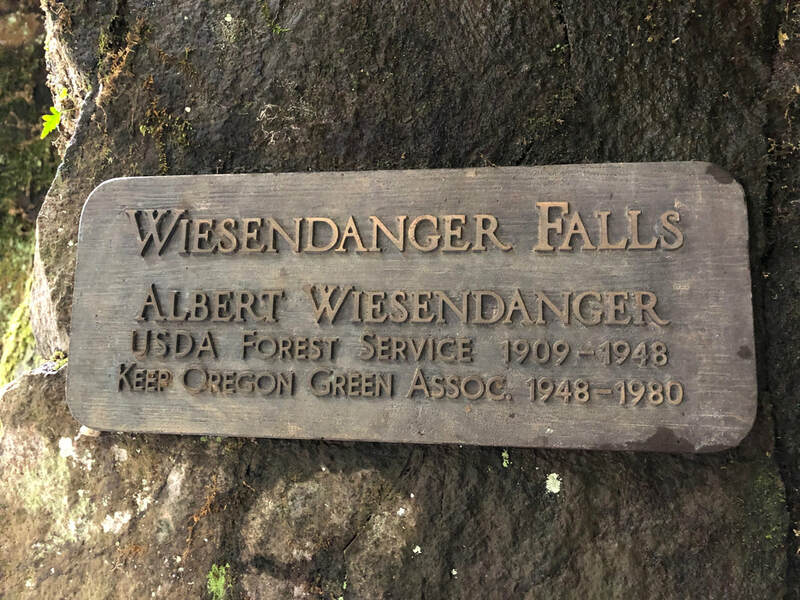 Franziska Weinheimer/Hike Oregon are not responsible if you or anyone in your party gets injured or lost while attempting one of these or any other hikes.